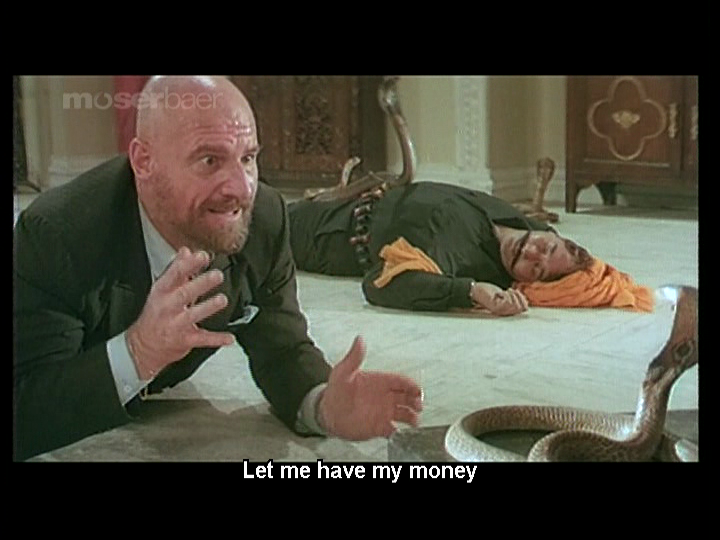 I wanted to write something about the late Bob Christo as he was my first ‘That guy again!’ in Hindi films. 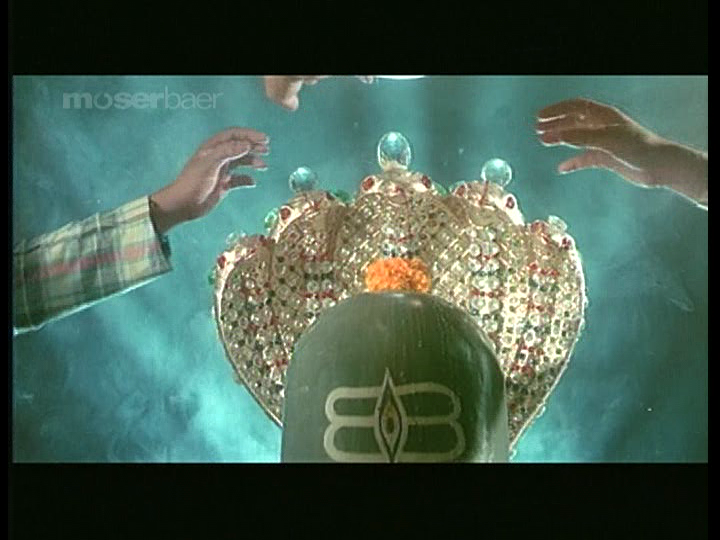 He seemed to be in everything, often trying to kill Mithun which was considerate of him, and generally being menacing. I think I first noticed him as he was one of the small number of white guys that turned up over and over in a huge array of films. But later I started noticing the gleam in his eye as he flung himself around the set, pretending to be beaten half to death by the hero, and I enjoyed his apparent glee at being the baddest baddie. He played his villainous henchman roles with great enthusiasm and I always look out for his shiny bald head when the main villain appears. “OK. The story goes something like this. A snake charmer, who treats his snake as a son, witnesses the plunder of the local snake temple jewels. 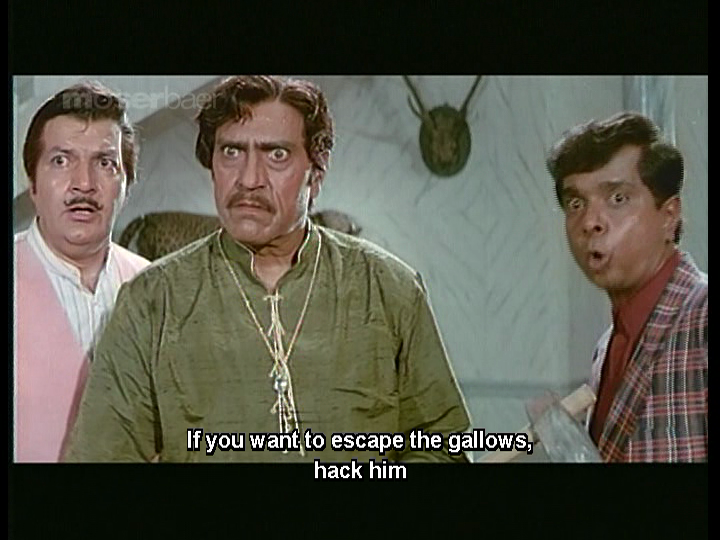 He is then framed by the thieves (local thakurs one of whom is played by Amrish Puri of course) and is beaten to death. The beating is witnessed by his wife (Aruna Irani), infant son and loyal snake. It is left to the widow to build a pyre and perform the funerary rites as she contemplates her future as a destitute widow. Loyal snake has accompanied them to the cremation and when the widow realises she is unable to care for him, along with herself and infant, she feeds him some breast milk, sings a song about him repaying the debt of her milk, then sends him away. This part is really sad and the snake actually looks sad and lost and grief stricken as he leaves (and I cried). Not a woman of forgiveness, the snake charmer’s wife then sets about avenging the death of her husband. And she is still on task 25 years later. 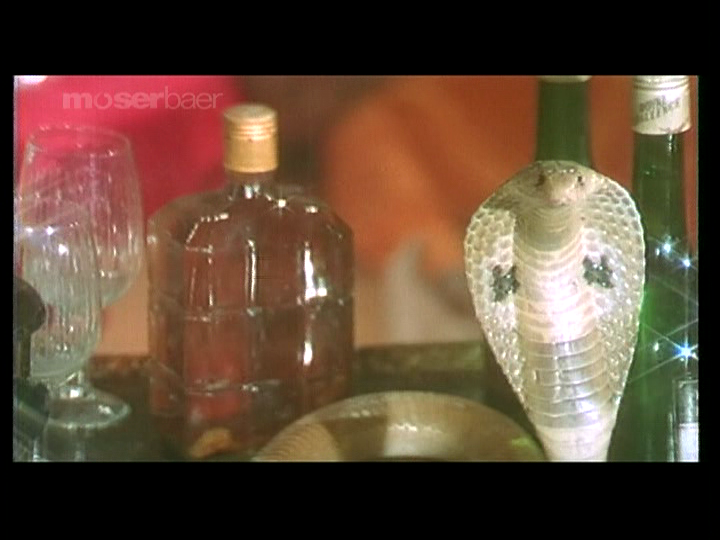 The Snake represents all that is good and moral and he is the hero of this film, regardless of what Jackie Shroff might think. Sadly, he was never named which seems remiss considering his important role. The Snake is loyal and protective, has sound family values and judging by the number of friends and relatives who turn up for the final showdown, he must have been a nice snake. There was genuine emotion in some of The Snake’s scenes and I have to say the editing was outstanding in making it seem that The Snake was reacting to the drama around him. I also have a mental picture of some poor sod standing just out of shot, dangling a mouse or other tasty treat to get The Snake’s attention. And who knew that snakes could emote? There are always concerns about animals in films but I think the instructions to the snake wranglers went along the lines of ‘Chuck ‘em in and stand back’. I am hoping that some fake snakery went on in a couple of scenes. And the mongooses seemed quite chipper in their special appearance. Certainly more enthused than the mongoose wranglers were! I know I wouldn’t have lasted long as an extra on this film. The human actors go about their supporting roles quite successfully, and I did find the story very engaging. 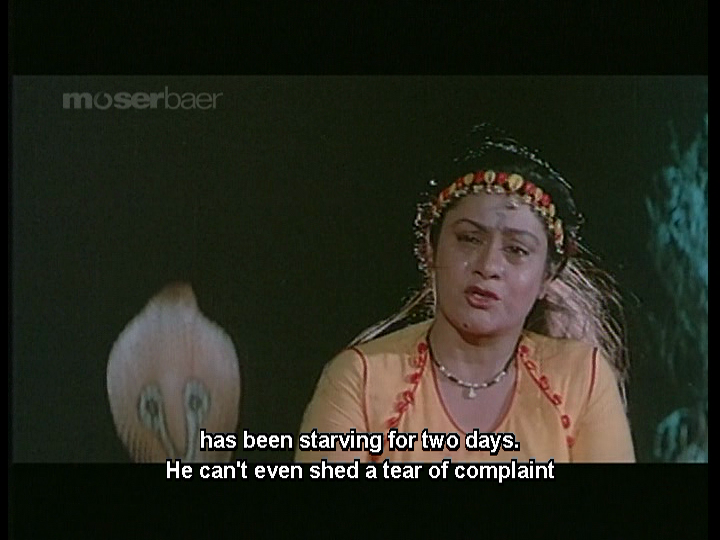 Aruna Irani nails the vengeful widow role and raises her human son to be as strong as iron, although takes her time in telling him why. The scene when snake and widow separated was quite moving, although I didn’t cry. Perhaps I was too startled seeing breast milk expressed on screen and in close-up. I did find myself singing along with the recurring title track though. Goga Kapoor and Raza Murad make an impression in their smallish roles. 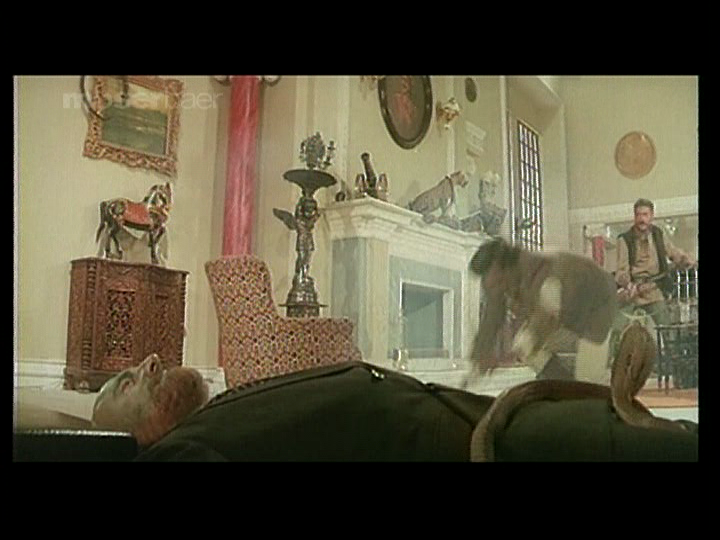 Amrish Puri as the Thakur didn’t put up much of a fight before he was persuaded to turn to crime, and was a villain of the weak and greedy type rather than a creatively dressed megalomaniac. But the allure of the jewels was just too much for him as was the notion of taking the easy way out of his self created problems. 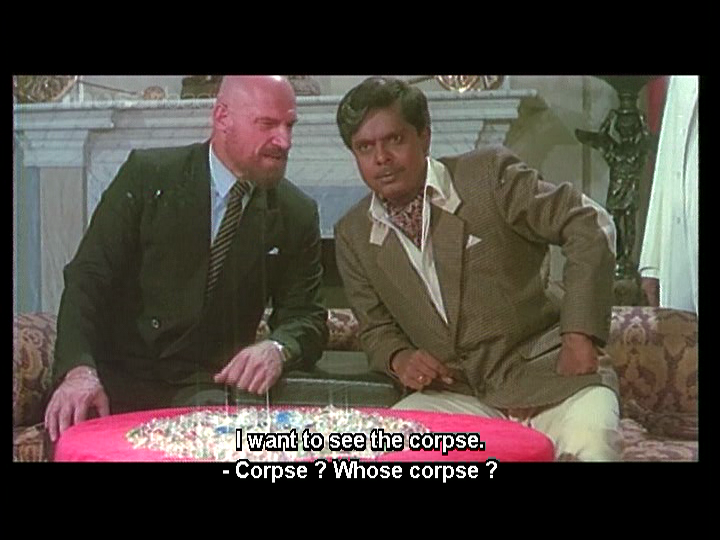 And he is backed up by Prem Chopra so you just know how that’s going to work out. My mind did wander a bit during the songs though as the only thing that seemed to happen was Jackie pawing at Neelam. And it’s a snake film so it’s mostly snake music and that can get a tad monotonous. Meanwhile The Snake was slithering the countryside in search of his father’s killer who he would recognise by a distinctive necklace. That’s something to think about before borrowing jewellery. 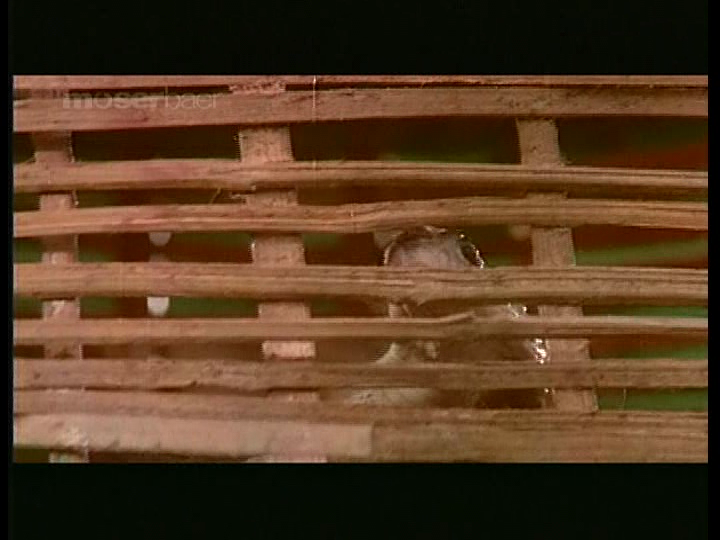 When Neelam is bitten by the vengeful loner, she faints gracefully and is spared the sight of Jackie sucking her toes to extract the venom. Dear reader, you will not be so lucky. 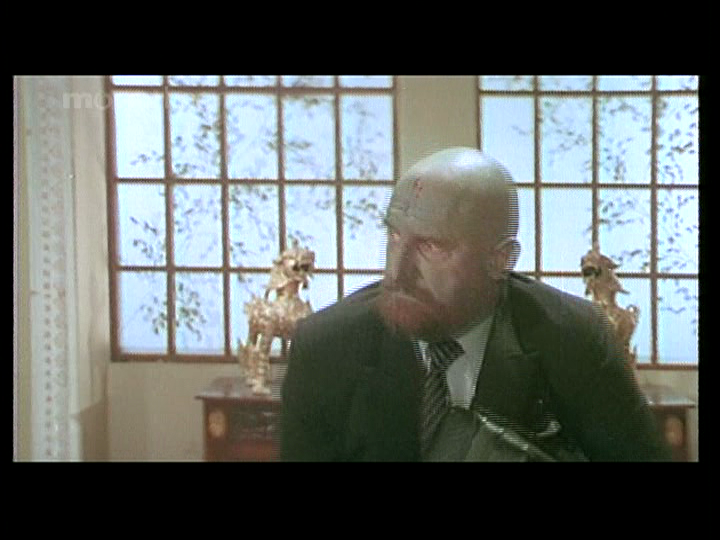 Bob Christo has a small yet pivotal role as a venal Englishman who represents all that is bad and stupid. He is a diamond smuggler called Angrezi Master so maybe the script writers had just given up on character names and it wasn’t an anti-snake thing. Bob wants the stolen temple jewels but is afraid of the snake that is reputed to protect the temple, and demands to be shown its corpse. Oh Bob. So many films and still messing with the gods…Finally, Bob has to decide what is more important to him. The snake gave him a choice, and Bob chose wrong. I also learned that when white people are bitten by snakes, we turn green. This should be a very helpful diagnostic tool in future. I have to say, I really enjoyed Doodh ka Karz. I like a good snake revenge film, and this is very snake-centric and vengeful. Ashok Gaikwad kept the story and editing pacey and there is stuff happening all over the place so there is never a dull moment. 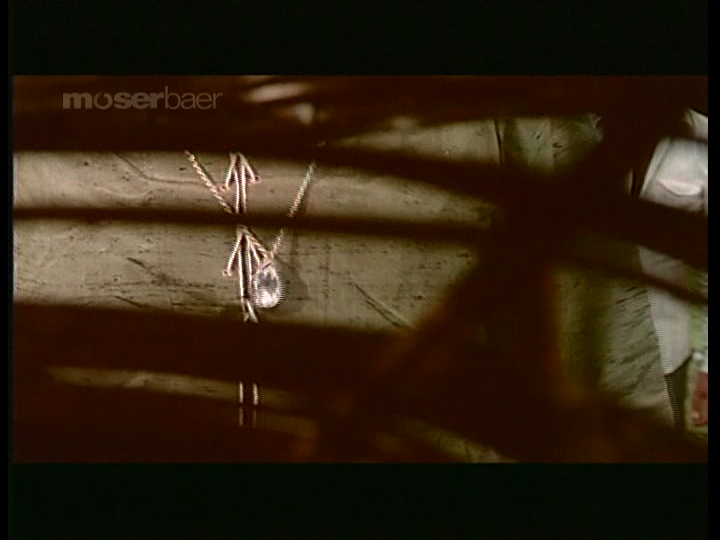 There is pathos in the snake charmer family scenes, and Aruna Irana is excellent. The only thing missing was a proper snake dance. This is a great ripping yarn, and a fun way to remember Bob Christo. 3 and ½ stars! Edited to add: Here is a link to Beth’s round-up of ‘Bob’s Your Uncle’ posts. Go have a look! 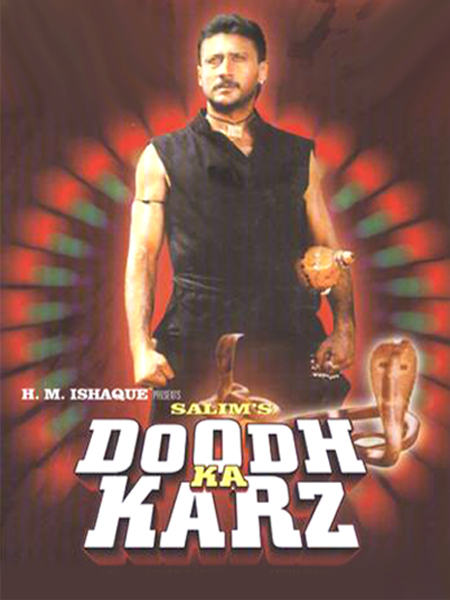 This entry was posted in Academy of Applied Filmi Snake Research and Ethics, Bollywood and tagged Academy of Applied Filmi Snake Research and Ethics, Amrish Puri, Anu Malik, Aruna Irani, Ashok Gaikwad, Bob Christo, Bob's Your Uncle, Bollywood, Doodh Ka Karz, Goga Kapoor, Hindi, Jackie Shroff, Neelam, Prem Chopra, Raza Murad, The Snake. Bookmark the permalink. Goodness, you two are on a roll! Three films in two days! I’m still working on writing a comment for Godavari, which I finished a few days ago, but have been too busy to write about. This is one I prepared earlier 😉 It’s for Bob’s Your Uncle (organised by Beth of Beth Loves Bollywood). I think you are quite harsh about the snake emoting but maybe you do need to have watched the film in order to feel a bond with The Snake. I like the sound effects allocated to the flying snakes. They sounded very aerodynamic. I don’t know. All the photos of different expressions by the snakes looked the same to me, leading me to think that it’s the effect of montage that makes the viewer impute different emotions to the snake. *I* suggested Sweta Naagu to you?! Mercy! I don’t even remember that, nor does the name ring a bell. 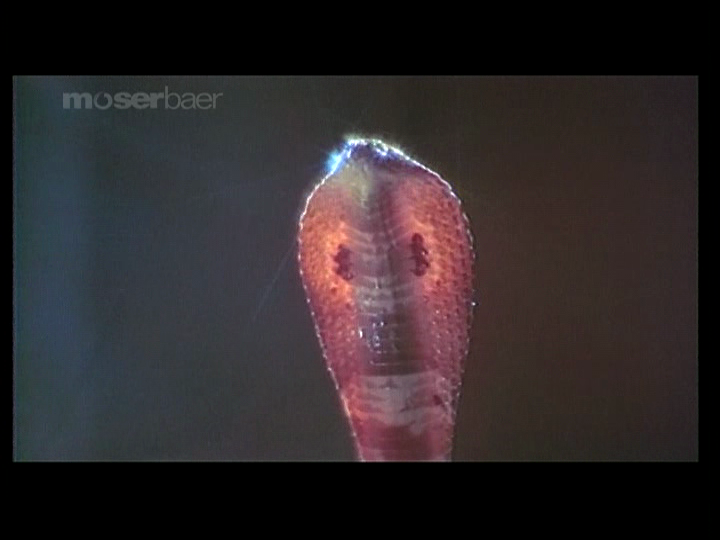 There used to be lots of Telugu movies with snake characters, not just snake themed movies, in the 1950’s. Some were based on well-known folk tales. I doubt that you would find any of them with subtitles now, though. No emoting on the part of the snake? Unmoved? Gasp…. Not even with the indisputable photographic evidence? Not even his ‘judgemental teatotaller’? I’m shocked! I would maintain that this is not merely ‘Blue Steel’ but the work of a remarkably masterful, nuanced and subtle character actor. OK perhaps not so subtle in the flying snake scene but he was in an absolute rage by then and the time for many and varied snakey moods was long over at that point. In fact, I think it may not be overstating the case to compare the master craftsmanship of Olivier to that supremely talented …yet cruelly nameless… snake actor. Also, a question. Can there really ever be too many flying snakes??? WOW. I have read about this film in various places but never with so clear a description of the role of the Snake. Snake’s-eye camera work, even! SOLD. Thank you for making my weekend with that final clip. I, too have been impressed with the fantastic level of colubrine acting in Indian films, so this going to the top of the Must Watch list. 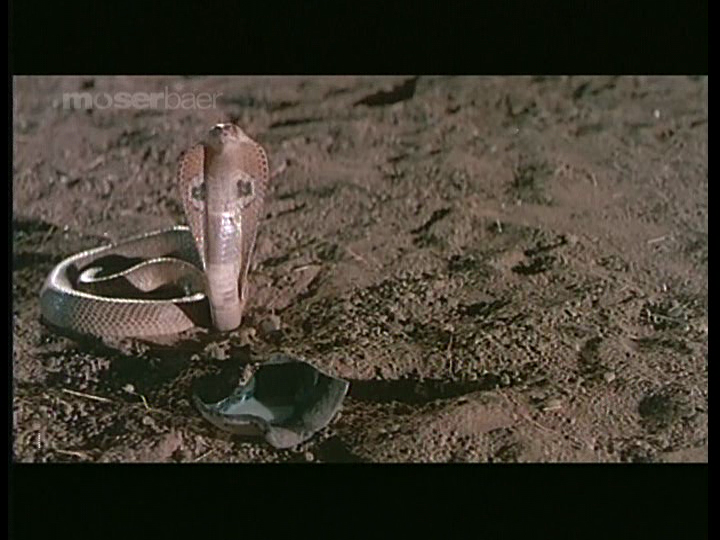 It’s probably safe to say that “some mongooses and cobras WERE harmed in the making of that final scene.” Thoughts are formulating for some sort of snake-themed week in the blogosphere. Judgemental teetotaller!!!!! HA HA HA. 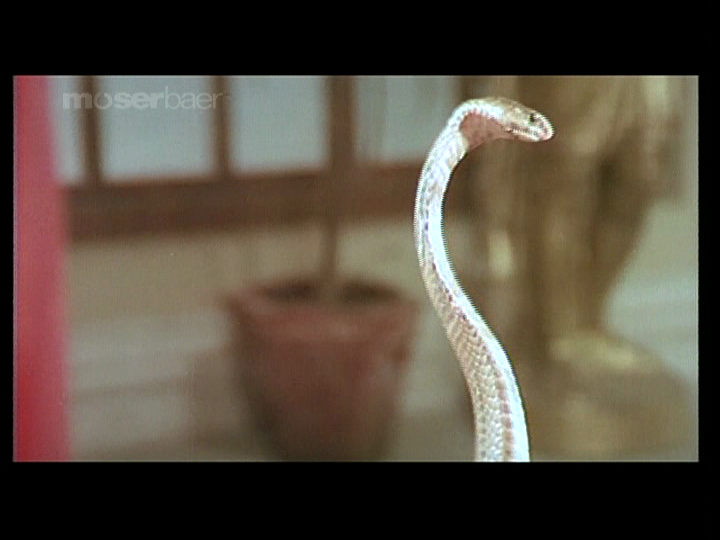 That is a Hindi cinema archetype if ever there was one, although this might be the first snake in the role. Jenni and I were discussing possible names and she offered Sssssunil as a possibility 🙂 The Snake could also represent Everysnake – the unsung cast member in so many great films. 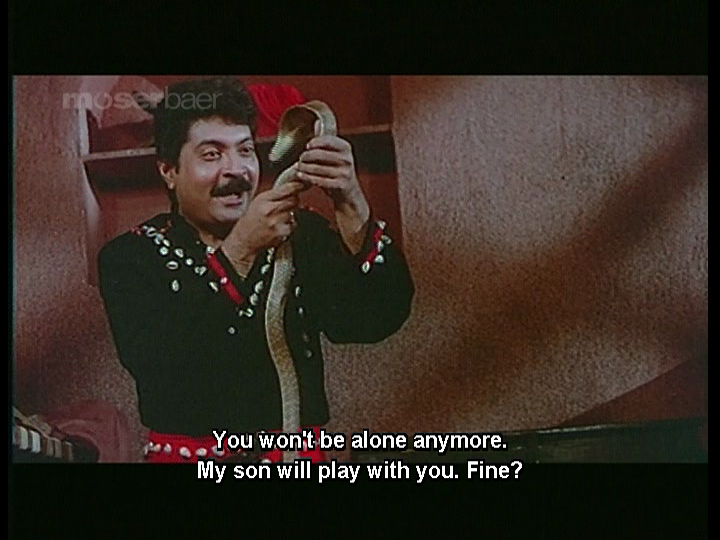 I do encourage you to watch Sheshnaag. You’ll get to see too much Jeetendra in pleather, but Danny Denzongpa is fabulous!